Chrome is the safest browser out there will need to read this. We all know that Microsoft is really active in Making their Edge browser more user-friendly and secure. 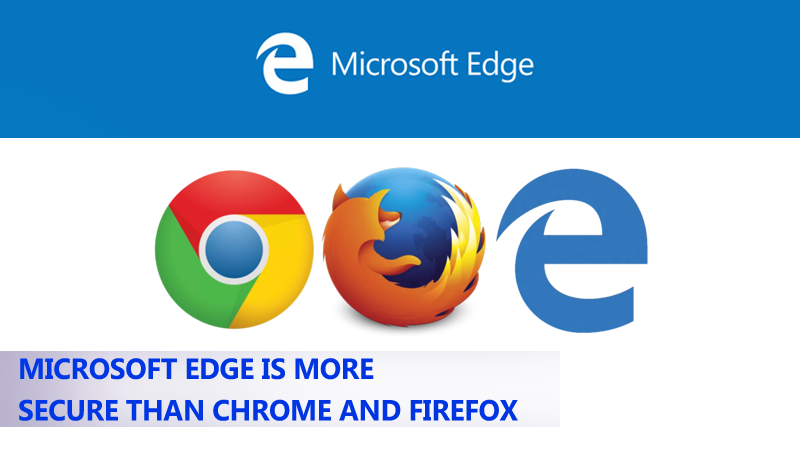 Microsoft Edge misses out some feature when it is being compared to more established browsers like Google Chrome and Mozilla Firefox. However, Microsoft Edge is better than its rivals when it comes to security. According to the reports from NSS Labs which was announced a few days ago. NSS Labs conducted a test to determine the most secure web browser on the market when it comes to SEM (Social engineered malware) and Phishing attacks. The test showed Firefox manage to caught 81.4% phishing URLs and 78.3% of SEM samples. Google chrome managed to block 82.4% of Phishing URLs and 85.8% of SEM samples. The winner of the test is Microsoft Edge which managed to block 91.4% phishing URLs and 99% of SEM samples. Not only this, Microsoft Edge was the fastest one to Block new SEM, Edge took less than 10 minutes to protect the system from Malware. Google chrome took 2 hours and 39 minutes for the same thing and Mozilla Firefox managed to complete up things in 3 hours and 45 Minutes. So, at the end, it turns out that Microsoft Edge is right now to most advanced browser available in terms of security. NSS Labs also said that the test was fully independent, no compensation was received to run it.